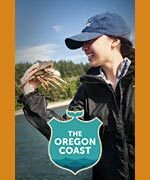 (Yachats, Oregon) – So much is packed into one small beach on the central Oregon coast it's almost dizzying. 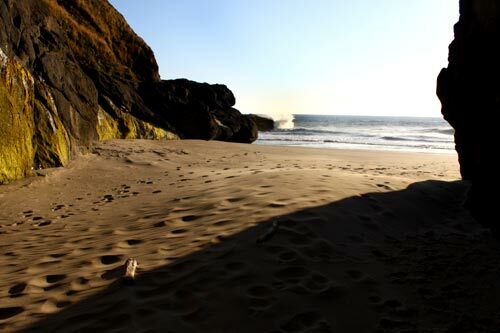 Tide pools, strange structures, cool caves, a creek and a variety of captivating shapes. Both alien and calming, there's a unique quality here. Bob Creek State Park, several miles south of Yachats, sits just a tad within the borders of Lane County. 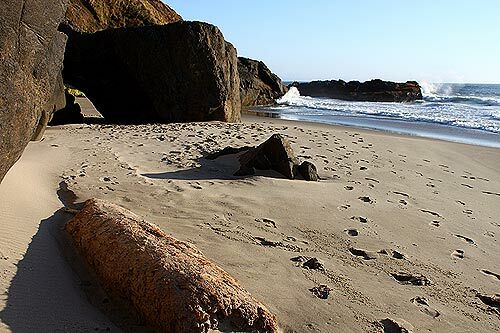 It's part of a section of this coastline that rises and falls rapidly along Highway 101, interspersed with an astounding array of different kinds of beaches, but more dramatic ones than not so. Most of Bob Creek is essentially a kind of half-circle and miniature cove. Enter from the parking lot, through an access that's dominated by a crusty layer of what appears to be old, sun-bleached shells, and immediately you're on primarily large, polished stones that can make walking a bit strenuous. 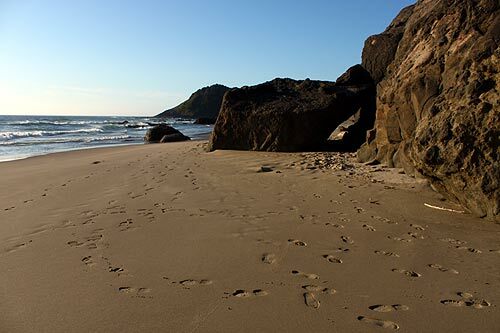 But tides permitting, plenty of sandy stretches make that easier in spots. Along the way, a wide variety of oddly shaped basalt slabs create some intricate walkways. The ocean likes to pound close here, so be careful. 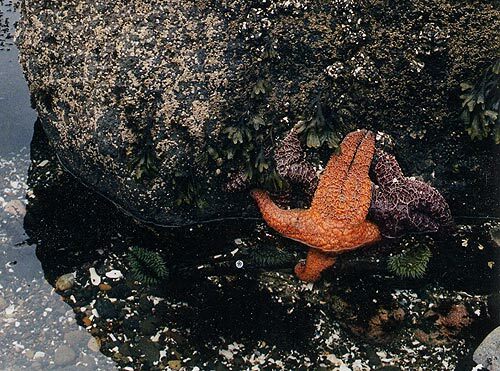 In plenty of spots you will discover a rich collection of starfish colonies and other tide pool places of residence. To the north, just over Bob Creek, there are some as well as towards the southern end. 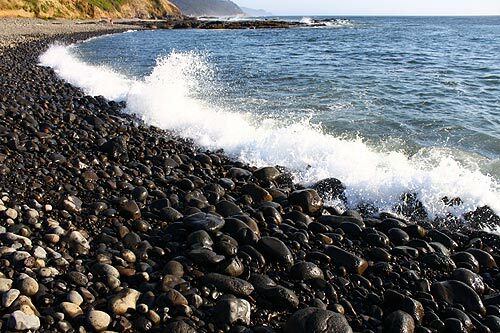 As you head towards the southernmost point, there's a large boulder appearing to lean up against the cliff. This draws you in, of course, tugging at your need to explore. You will be rewarded here – but watch the tides. Don't go near it if the waves are reaching too far in. This makeshift kind of rocky arch cloisters a delicious little secret: a small cave. 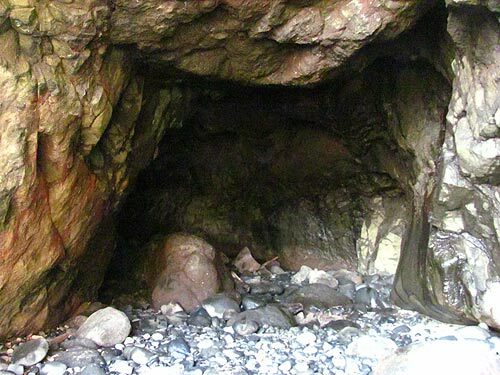 But on the other side of the rocky arch is an even larger sea cave, one which towers some 30 to 40 feet above you. This one is large enough to walk inside. There's not a lot in here. No lost treasure or secrets inside. No pirate's booty or reminder of the movie Goonies. It is, however, a fascinating place. There is simply something satisfying, even thrilling, about wandering inside a sea cave. 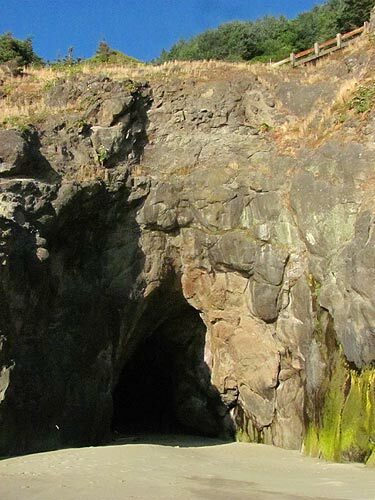 Interestingly enough, the cave sits directly below Bray's Point, a beautiful pullout along the highway where vast vistas of sea and sky abound, stuff that is constantly posing for your camera. 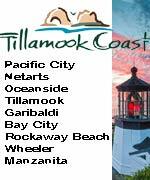 For more on this stretch of Oregon coast, see the Upper Lane County Virtual Tour, Map, which includes more on Bob Creek Wayside and these other beaches between Yachats and Florence.